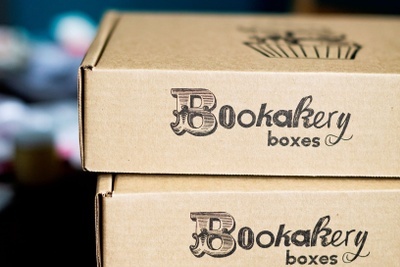 Enter your email address below to receive a notification when Bookakery Boxes starts accepting new sign-ups! Enter your email address below to receive a notification when Bookakery Boxes is accepting new sign-ups again. 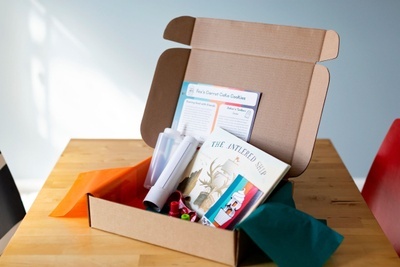 We ship our Bookakery Boxes our around the 20th of each month. 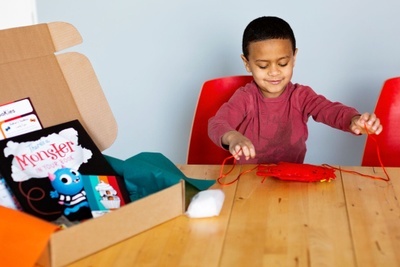 Orders placed after the 20th of the month will be for the following month's box. 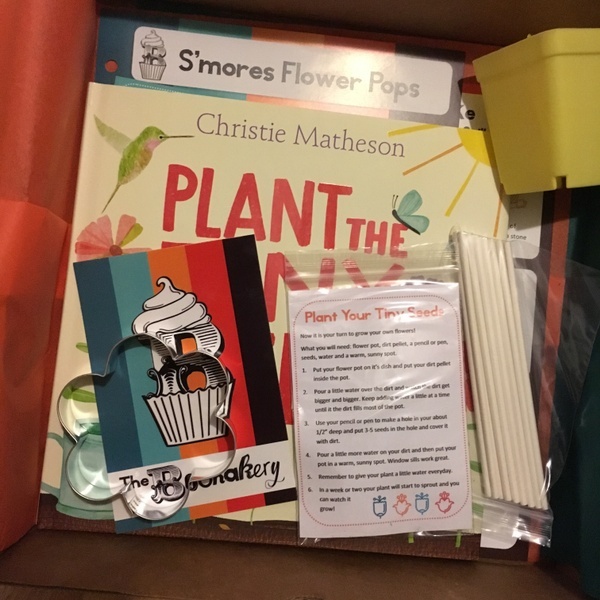 Books and baking, for kids! The boxes are an absolute treat!!! 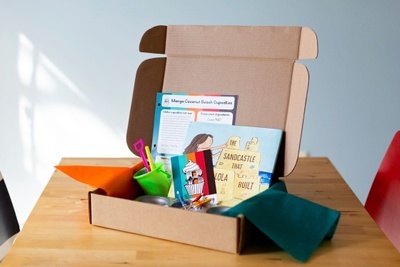 The kids have loved all the books and the fun little cooking utensil. The recipes are well thought out and taste yummy! 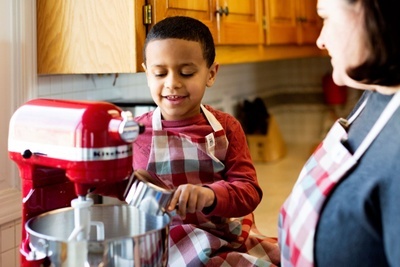 Mommy loves the little baking facts that come with the recipe card! Love this!!! My son was so excited to get a package in the mail. 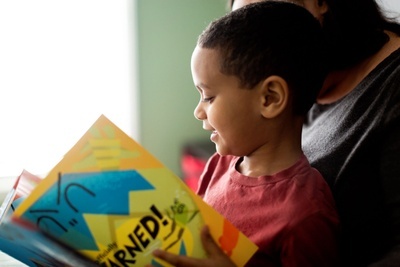 We read the book 3 times right away and he loved planting the seeds! Can't wait to bake our cookies!!!! 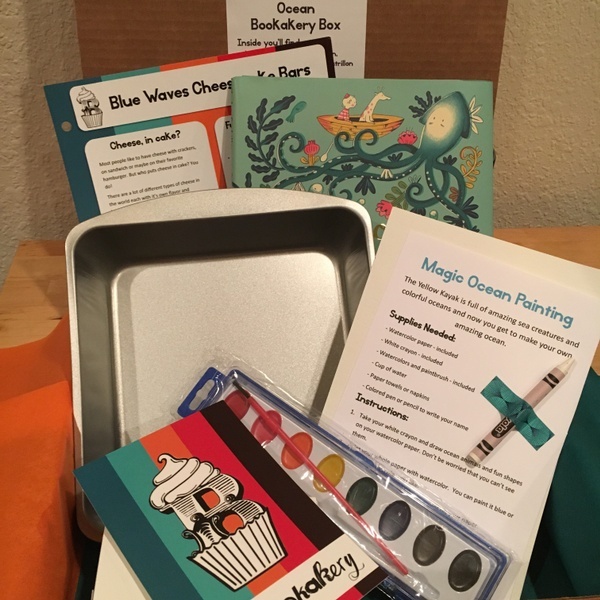 Subscribers dove deep into the ocean with our March 2018 Ocean themed Bookakery Box! 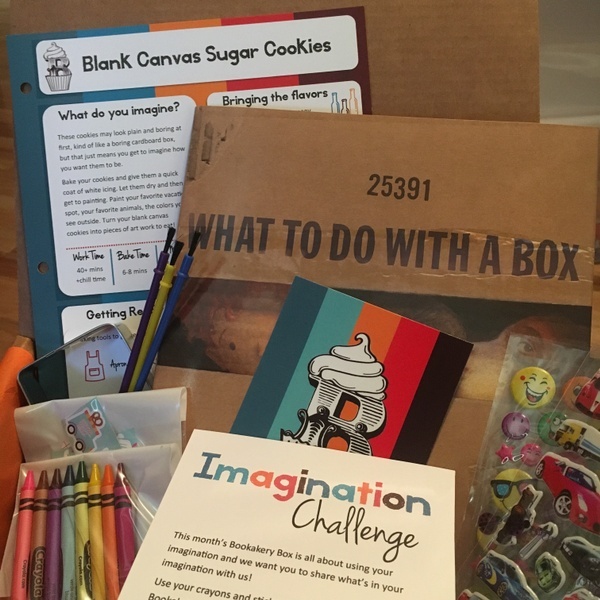 Let you Imagination run wild with June’s Imagination Bookakery Box! 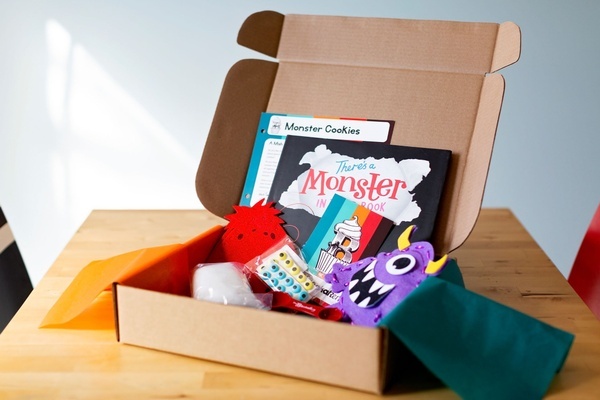 Our very first Bookakery Box!